20-25 species, depending on classification. Distribution area North America and Eurasia, 4 species in the flora of the FSU. E. dens-canis L. occurs in the Transcarpathians and also in southern Europe. E. japonicum Decne occurs in the Far East, on Sakhalin and the Kuril Islands and also in Japan and Korea. Both are in cultivation. 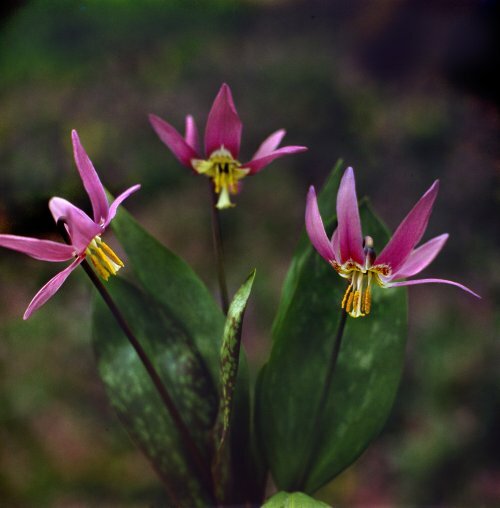 The other two species are poorly known in cultivation, even in botanical gardens. Caucasus (western regions) and northern Iran. Forests of lower mountain zone, forest margins, tall grass communities. Flowering stem up to 10-15 cm. Tuber- like bulb elongate or elongate-cylindrical, 2-4 cm long. Leaves (usually 2) glaucous, spotted, ovate-elongate, 4-6 cm x 2-3 cm, prostrate. Flowers solitary, white or creamy, with small scattered spots, perianth lobes lanceolate. V - April to June. Fl - April or May in St. Petersburg, March-April in the wild. P - daughter bulbs. Transplant only in late summer. Well-drained soil is desirable. Can grow in shady places. Very suitable for the rock garden and group plantings as a spring flower. Z 5 (4). New. E. sibiricum (Fisch. et C. A. Mey.) Kryl. Siberia (Altay, Western Sayan), Central Asia (eastern Kazakstan) and Mongolia. On rocky slopes, forest edges. Flowering stem 15-30 cm. Tuber-like bulb elongate-ovate, above 3-6 cm long. Leaves 2, elliptical, with reddish spots, 10-20 cm x 3-7 cm. Flowers solitary, dark pink or lilac, 5-6 cm diam. Perianth lobes with numerous minute spots, inner segments with auricules. Anthers yellow, in contrast to the Europaean species E. dens-canis, which has dark lilac or brown anthers. V - April to July. Fl - end April, or beginning of May. Fr - June-July. P - by daughter bulbs and seed. Needs well-drained soil. 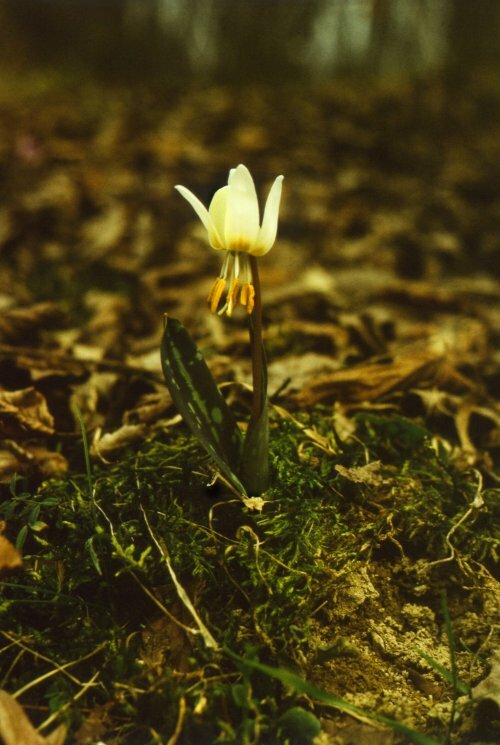 A white-flowering form occurs in the wild. Once established, it can grow for many years in the same place and cover large patches. Good in rock gardens and flower beds. Z 3. New.